I really, really expected to (and wanted to) like Vegan Brunch. After all of the wonderful things I had heard about Isa Moskowitz’s books, I expected this one to be fun foray into breakfast. Unfortunately, this cookbook just didn’t work for me and my husband, literally. However, I loved the look, layout and writing in this cookbook. It is fun, colorful, and has both enticing photos and Isa’s wonderful wit throughout. Once I got into the recipes I found that they were very, very tofu-heavy. Isa uses soy liberally, but as much as I do actually enjoy tofu, soy protein doesn’t work in these quantities in our household for health reasons. She dedicates an entire chapter to tofu scrambles alone. So if you are a huge tofu fan, you have hit the brunch mother load. For myself, about half the recipes in the book were a no go right off the bat because they relied on soy in some form (beyond soymilk, which could easily be substituted). Mushroom Gravy –As my husband said (with a note of disdain), it tasted “garden fresh.” While I am usually all about garden fresh, the overall taste was blah and a somewhat amiss. The flavors didn’t really meld, and it didn’t really strike either of us as gravy. We served it atop potatoes and veggies, but it failed to make them pop. At first I thought just a touch more salt would bring this sauce to life, but really, the concept just didn’t work for us. Plus, the chunkies of garlic, onions, and veggies throughout made for a strange consistency. I much prefer the vegan gravies from Get it Ripe, which are wholesome, but a bit richer. 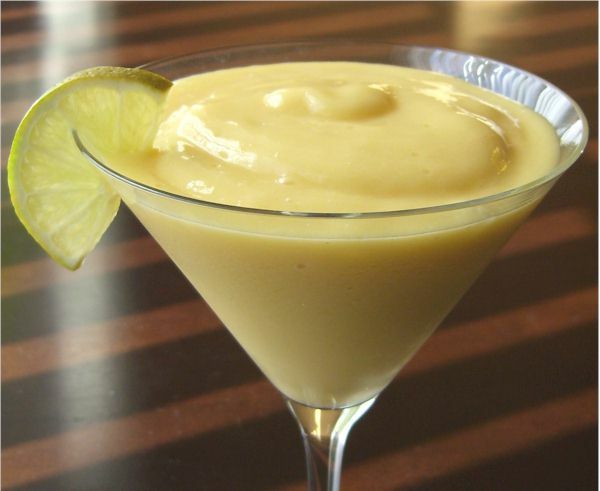 Mango Lassi – This was delicious, and I loved the taste added by the cardamom, but the ratios were definitely askew. There was no way my blender was going to be able to puree 3 cups of frozen mango (perhaps they should have said thawed?) with just 1 6-oz container of yogurt (used So Delicious vanilla soy) and 1 cup of milk alternative (I used So delicious coconut beverage in vanilla). I ended up doubling both and still had a very thick, spoonable smoothie on my hands. This is the texture I prefer, but if you are looking for a sip it through a straw drink (as the intro suggests) this is probably not the one. So, my beverage may have been a bit less “mango” but it was seriously tasty nonetheless. I used vanilla versions of the alternatives, which are sweetened a bit, so I omitted the agave. 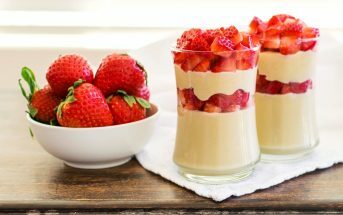 It was perfectly sweet for our tastes, but some may prefer to go with both the vanilla and the agave for a sweeter, dessert-like smoothie. 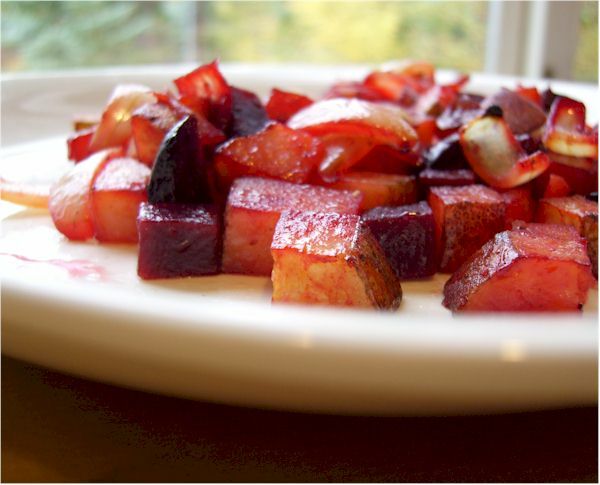 Red Flannel Hash – With beet season knocking at my door, I was excited to try this beet-potato combo. After all, how can you go wrong with breakfast potatoes? Unfortunately, both my husband and I found these very, very bland. I am not a salt fiend by any means, but these definitely needed some oomph by way of herbs or seasonings, and the recommended liquid smoke made the whole flavor of the dish a bit “off” in our opinions. Aside from my own taste-testing, this cookbook has glowing reviews on Amazon and Sarena tried several of the baked goodies (I am lumping pancakes and waffles into this) from Vegan Brunch and loved them. So if you are into breakfast pastries and need more ways to enjoy tofu, I think this cookbook would be a much bigger hit for you, and it is a fun read! This is a third party review by Alisa Fleming, author of Go Dairy Free: The Guide & Cookbook. 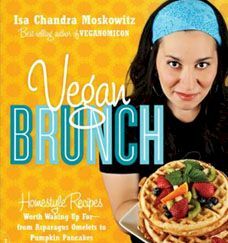 To purchase Vegan Brunch, head to Amazon.